Big changes are afoot at two big firms, shifts that both companies acknowledged after a report suggesting as much surfaced earlier today. Zynga confirmed the appointment of Microsoft's Xbox head Don Mattrick as its new CEO this afternoon with a press release posted to its website. AllThingsD initially reported on Mattrick's impending departure before Microsoft and Zynga piped up. Mattrick, president of Microsoft's Interactive Entertainment Business for the last three years, will take the reins at the social gaming company effective July 8, also joining the board of directors. IEB encompasses Xbox as well as Microsoft's gaming and entertainment arms. Zynga's "founding chief executive officer" Mark Pincus will stay on as chairman of the board of directors and as chief product officer. "I joined Zynga because I believe that Mark's pioneering vision and mission to connect the world through games is just getting started," Mattrick is quoted as saying in the release. "Zynga is a great business that has yet to realize its full potential. I'm proud to partner with Mark to deliver high-quality, fun, social games wherever people want to play." Mattrick is certainly one of Microsoft's more conspicuous executives, recently overseeing the company's Xbox One reveal in May and joining in on the console's game-focused E3 2013 event last month. 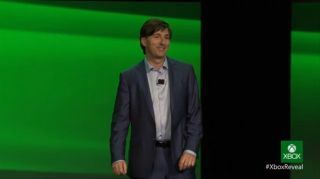 Soon after E3 ended, Mattrick took to the web to announce a reversal of the Xbox One's controversial 24-hour check-in requirement and used games policies. While welcomed by many, the changes also did away with a few much-desired features for some gamers. In an internal email to employees posted on Microsoft's News Center, CEO Steve Ballmer said Mattrick's "directs" will report to him and continue to conduct day-to-day business as a team, "particularly focused on shipping Xbox One this holiday." His email, while acknowledging the growth of Xbox accomplished while Mattrick was in charge, is forward looking. "Thank you, Don, for setting us on a path to completely redefine the entertainment industry," Ballmer wrote after expressing excitement about the potential of the Xbox to drive the Microsoft's push to become a devices and services company. "The strong leadership team at IEB and their teams are well positioned to deliver the next-generation entertainment console, as well as transformative entertainment experiences, long into the future." Zynga has seen its troubles well documented, with users dropping off and Pincus working to quickly transition the company towards mobile. Mattrick has worked on company turnarounds in the past and he clearly recognizes something worth saving in Zynga. We'll see how it all plays out. Microsoft may be in flux, but the company's Xbox Music has found a new home on the web. Read about it here.